When future medical historians choose a name for our era, they might call it the “Age of Allergies”: compared to previous generations, the percentage of the population suffering from various allergies seems to have skyrocketed. Milder allergies “only” cause quality-of-life issues: hay fever probably won't kill you (unless you try operating heavy machinery or a motor vehicle while under the influence of hay-fever medication), but it will make you thoroughly miserable, even incapable of normal everyday activity, anytime there's pollen in the air. Up to 30% of all adults, worldwide, are estimated to suffer from some form of hay fever. And, as The New York Times reported last week, the number of people allergic to nickel appears to be on the rise — or maybe they're just more likely to notice it, given the increase in commonplace electronic devices made of nickel. What does “being allergic” or “having an allergy” actually mean? If you're allergic – whether to pollen, peanuts, nickel or anything else – this means that for some reason, your immune system reacts to a generally harmless substance as though it were an actual infectious or poisonous threat. If you break out in hives or a rash after handling something made of nickel, that's an allergic reaction: most people can handle nickel with no difficulty, but anywhere from 10% to 20% of the population suffers from nickel allergies, according to the Center for Disease Control and Prevention. Nobody knows exactly why the number and percentage of allergy sufferers has increased in recent decades. But there are various theories: perhaps the increase in allergies is due to modern, sterile living environments – with no microbes to fight, the immune system goes after something else. Maybe the rise in food allergies stems from changes in the industrial processes used to prepare these foods. Or maybe allergies aren't any more common than before; maybe we're just doing a better job of identifying them. One thing seems certain: all allergies are not created equal, and currently available evidence suggests that they don't all have the same causes, either. Some types of allergies appear caused by lack of exposure to the allergen. For example, children raised in homes with furry or feathery pets (read: pets that produce dander), or raised on farms with lots of animals, pollen and dirt, are less likely to develop allergies than children raised in sterile, animal-free and dirt-free environments. In such cases, it's almost as though a young child's body or immune system must “learn” how to properly handle pollen, dirt and dander, and if you don't “learn” it by a certain age, you become allergic to it instead. There's even evidence suggesting that people with such allergies might, under strict medical supervision, “learn” how to handle the allergen: earlier this year, British medical researchers reported success in a strategy wherein they treated allergy sufferers by regularly exposing them to small amounts of peanut protein. After six months, the test subjects were still allergic to peanuts, but the amount they could ingest without suffering an allergic reaction was 25 times greater than what they could safely manage at the beginning of the experiment. Yet other allergies seem to have the exact opposite cause: too much exposure turns an innocuous substance into an allergen. And nickel allergies appear to fall into that category. Nickel allergies can develop in surprising (and extremely unpleasant) ways. 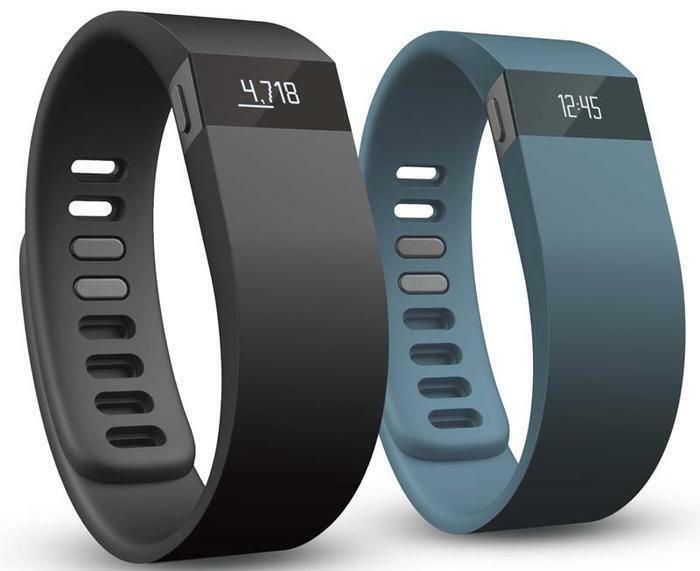 Earlier this year, the Fitbit company had to recall its Force activity-tracking wristbands after users started breaking out in horrible red rashes; Fitbit suggested the problem might beallergic reactions to the nickel used in the bands. 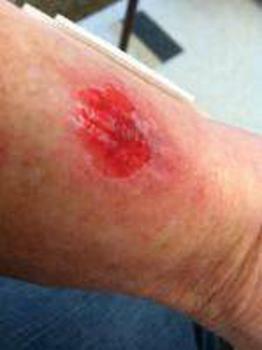 In a way, those rash-suffering Fitbit customers were lucky: removing an itch-inducing wristband is very easy to do. Removing a surgical implant is not: last year, we told you about people who got metal-on-metal hip implants and then discovered (or developed) an allergy to the nickel used to make them. If you are allergic to nickel then, of course, your best bet is to avoid coming into contact with any. Problem is, in modern society that's extremely difficult to do. With the exception of pennies, all United States coins currently minted for regular circulation contain at least some nickel. In 2011, Walt Disney Parks and Resorts recalled about 1,200 children’s watches because of nickel in the watch’s [sic] back … A recent article in The Journal of Pediatrics pointed to a rise in nickel allergies among children and cited an 11-year-old boy who most likely had an allergic reaction to his iPad. The United States currently has no equivalent. Food allergens -- where are they?